First Look: Tiger Shroff in Student of the Year 2! The first Student of the Year starred Alia Bhatt, Siddarth Malhotra and Varun Dhawan in the lead roles and proved to be a very successful debut for all three actors and for Karan Johar. 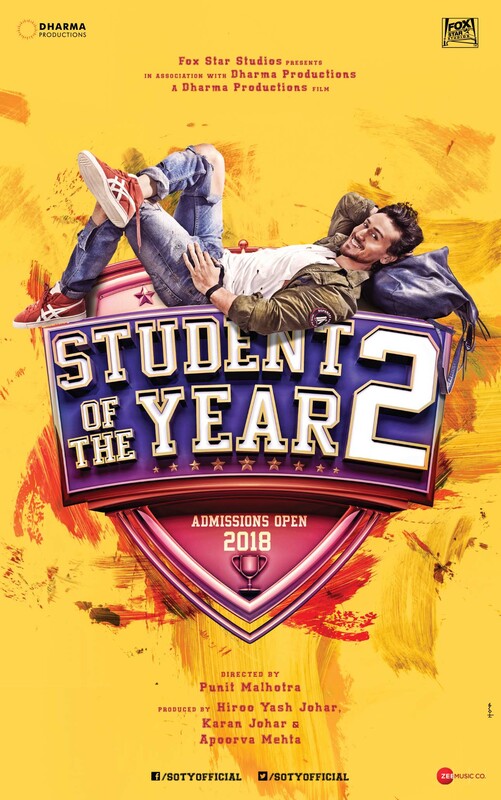 Now, ever since the news of Student of the Year 2, directed by Punit Malhotra, was announced, the buzz around the film has been very positive (despite recent rumours of the film being shelved). Today, sees the release of Tiger Shroff’s first look poster for the film. As you can see the poster shows Tiger in a very cool and relaxed mode and certainly intrigues us! It will be interesting to see what vibe the other posters for the film will carry! In fact, we are still waiting to see who will join him in class. While we wait for the rest of the cast of SOTY2 to be announced, enjoy Tiger’s poster and stay tuned to Bollyspice for the latest on the film and more.